Over the years, Hoppe Marine has gathered extensive knowledge in regards to ship design, ship theory, estimation of seakeeping behavior and simulation of fluid dynamics. The complexity of our projects and their innovative character required us to develop and expand these capabilities. Nowadays, our clients demand our expert knowledge and trust us to provide third party opinions. Given the tremendous background in ship operation, the related innovative automation products and the practical system integration knowhow, it was a logical step for us to offer this expertise as an engineering service to our customers. The engineering portfolio is focused on Hoppe Marine’s core capabilities Motion Control, Fluid Management and Ship Performance. The foundation is an experienced team of naval architects, marine engineers, data scientists, physicists and computational engineers. We offer scaled model tests on a state-of-the-art 6 degrees-of-freedom (DOF) motion platform, numerical motion response analysis, computational fluid dynamics (CFD) calculations and optimizations, engineering consulting, data analysis, sea trial attendance and surveys undertaken by our experts. The Marine Hydrodynamics team supports all departments within Hoppe in dealing with all naval architectural challenges encountered. In addition, we assist and/or advise our clients, yards, design offices and end-users on integrating our equipment during the development of a vessel or during conversions and retrofits of existing designs. Outside the supporting role, we constantly develop our numerical, analytical and test procedures to support the creation of innovative products ready for the future. Hoppe operates a very sophisticated facility to conduct any kind of sloshing or other moving objects model tests. The test field is equipped with a state-of-the-art Mistral Hexapod (2017), a high precision six DOF force and moment sensor, different motion sensors, resistance probes and a high resolution camera system to track fluid or solid object movement. In day-to-day business the setup is mainly used to validate the performance of FLUME® type, INTERING type or U-Tube stabilizers. In addition, Hoppe is offering its model test expertise to clients to investigate any arising problems in respect to marine engineering or naval architecture, such as sloshing issues of swimming pools, moon pools and LNG-tanks. Furthermore, critical stowage issues of e. g. explosive materials and sensitive equipment can be evaluated. On a daily basis Hoppe’s experienced Naval Architects are working with a variety of seakeeping tools to evaluate the motion characteristics of any kind of vessel type in regards to any kind of maritime-related problem. The tool set ranges from cost-effective and quick 1-DOF roll response estimations to complex and detailed RANSE-based 6 DOF motion solvers in the time domain. If necessary, the entire spectrum of available numerical techniques can be applied to determine the motion behaviour of the marine object at sea. The results are post-processed to derive the probability of the motion response in the respective sea state. The basis is an extensive database of worldwide scatter diagrams in irregular seas. During daily operations ship owners and their crews are faced with a variety of optimisation, motion response and cargo handling issues. In most cases these problems can be resolved based on their practical experience. However, very often expert knowhow in the area of ship theory, seakeeping, intact and damage stability, pump and crane operation, as well as automation and system integration is required. Hoppe employs an experienced team of Naval Architects, former nautical officers, physicists, data scientists, computational engineers and electrical engineers to advise their clients in regards to any kind of operational and theoretical problem related to the maritime industry. The service is based on the profound knowledge of how to provide reliable data for the evaluation. Decreasing risk factors arising from excessive roll motion for cargo, humans and the ship itself are our specialty. However, our clients also rely on us to optimize the sailing condition of their vessel in order to decrease the overall fuel consumption. Our aim is to provide the customer with a solid basis for their decision making process and assist them for achieving the best technical solution to their problem. 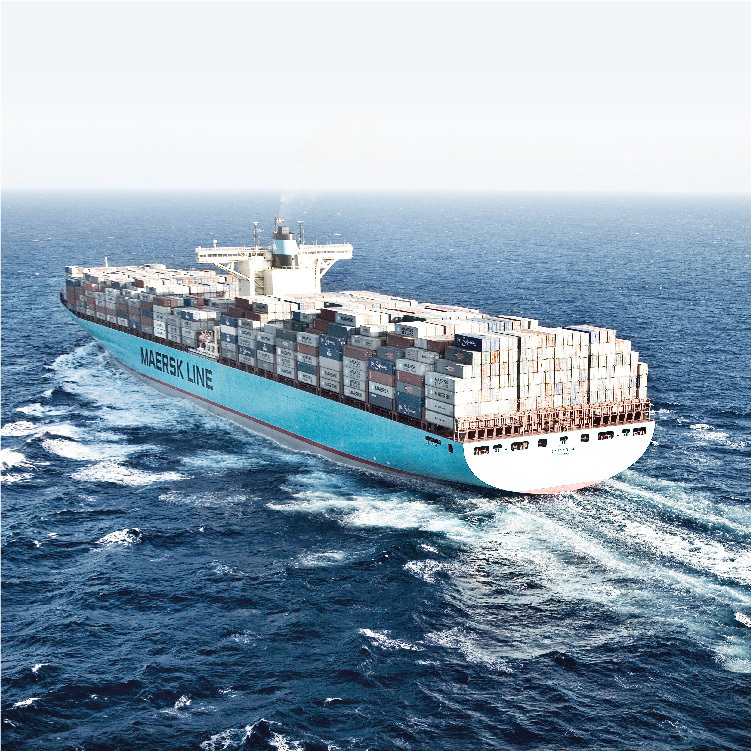 We are focused on increasing workability, flexibility, cargo intake and safety. Hoppe Marine offers its skilled Naval Architects and experienced Trial Engineers to attend the vessel in order to evaluate the problem during actual operational conditions. Our trial team will be equipped with a reliable and precise set of portable data acquisition equipment to gather the required input for the analysis. An interface to a variety of external data sources can be accessed. We conduct dedicated testing procedures that allow profound comparisons of the outcomes on bord with design and engineering data or with simulations and predictions made beforehand. One of our most cost-effective solutions is the portable Maihak shaft power meter used to acquire a reliable measurement of the power consumption during sea trials of propulsion systems. Via such an analysis potential fuel savings can be made visible. As a third party consultant Hoppe offers these services also for systems of other vendors.